Podcast from ESPN’s Bomani Jones Debuts April 3 - ESPN Press Room U.S. The Right Time with Bomani Jones is the fourth personality-driven podcast ESPN Audio has recently debuted. Jalen and Jacoby launched January 8, Sports? With Katie Nolan on January 10 and Marty Smith’s America on March 19. In addition to podcasts that serve sport-specific passions, storytelling is also a key component in the lineup. In the last year, ESPN’s critically acclaimed “30 for 30” films group branched into podcasting. Its third season will be its first serialized season: five episodes that delve deep into the complicated world of Bikram Yoga and the sexual assault allegations against its charismatic guru and founder, Bikram Choudhury. They will be released on the same day, Tuesday, May 22. In addition, The Undefeated – ESPN’s multiplatform initiative focusing on the intersections of sports, race and culture – launched The Plug. The weekly podcast features frank discussion on sports, race and culture. 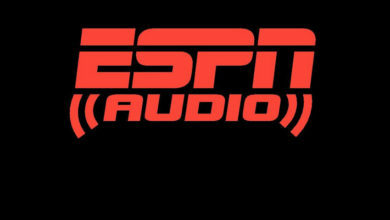 ESPN Audio launched its first podcast in 2005, and in 2017 recorded more than 288 million downloads. In December 2017, ESPN podcasts reached five million people, ranking ESPN fourth among podcast producers in America (per Podtrac).